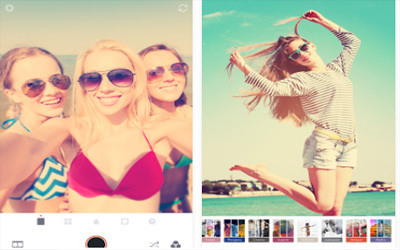 This is old version Retrica 3.1.1 apk for Android, you can install it if you want to downgrade or install old app. It is top Photography apps from Venticake Inc..
Retrica is different than the other app that add filter after it snapped. The presence of these filters is also helped with the presence of vignette features. It will give film look for your photos. If you want to collect some photos into a photo, Collage menu will be your choice. In making all the snapped photos are pretty impressive, fun and attractive, the user can also use the stamp feature. They can choose different type of photo decoration. With all these stamps, you can create a fun image using your own photos. Have no front camera? Use timer in this app to make your hands free. If you have a little bit darker or too bright area, you can put the exposure functions as the main setting. When all is done, you can start share your Retrica for android photo through the social media sharing button which is instantly available.